Members in Attendance: Sherry Maupin (President), Cynda Herrick (Secretary), Eric Borchers (telephonically), Blake Watson, Linnea Hall, Gene Tyler (telephonically), Thom Sowers, Julie Good, and Andrew Mentzer (Executive Director). Guests: Nicole Musgrove, Patty Wold, and Delta James. New board members, board elections: Introduced Patty Wold, Nicole Musgrove, and Jill Chapman as potential board members. Blake moved to approve Patty Wold as an at-large member, Julie seconded. Motion carried. Julie moved to approve Nicole Musgrove as an at-large member, Cynda seconded. Motion carried. We are waiting for the McCall Chamber to make their official appointment. Treasurer’s report: Sherry presented. She explained the bank balances. Linnea moved, Nicole seconded to approve the report. Motion carried. 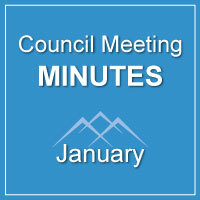 Approval of Dec. minutes: Blake moved, Linnea seconded to approve the minutes for December 6, 2018. Motion carried. IPI payment of $898.50: Julie moved to approve the payment of $898.50 to Boise State University for the workforce development analysis. Blake seconded the motion. Motion carried. Tony Harrison’s $750 invoice: Linnea moved to pay from the general funds which will be reimbursed. Nicole seconded. Motion carried. Reimbursements for ADV: Jay Petervary $741.28 and Aaron Thiesen $253.73: This is a travel and per diem from the general ledger – it will be reimbursed. Julie moved to approve, Patty seconded. Motion carried. Articles update/adoption of redlines: Discussed changes, all should look at, articles need to represent what we do. Board Elections: Sherry would like to have a Vice President. Cynda moved to approve Sherry as the President, Linnea seconded, motion carried. Julie moved to approve Cynda as the Vice President, Nicole seconded, motion carried. Linnea moved to approve Cynda as the secretary, Blake seconded, motion carried. Cynda will carry this dual role until others are up to speed – it will not allow 2 votes on the executive committee. Cynda moved, and Linnea seconded to make Julie Good the Treasurer, motion carried. Year in Review was presented by Andrew. (see attached) Verify apprenticeship – Andrew will get a complete list. Delta asked about the “Gap Analysis” ah’has. Sherry said that most kids will go away and aren’t interested in Hospitality. Andrew said his biggest ah’ha was that McCall-Donnelly students said that 93% of them plan to go on to college, but only 44% actually do. Discussed how we will continue to use results and market the data. Will try to do a presentation to M-D Strategic Planning group. Public relations side went wild in the newspaper, radio, TV, You Tubers, Velo News, etc. 2019 strategic plan review and approval: Delta would like to see Payette River Scenic Byways on the plan. The IEDA conference is slated to be in McCall on April 9 through April 11. Andrew presented the 2019 Work Plan. Discussed housing, tax incentives for ADU’s and housing. Cynda moved to approve the work plan for 2019, Julie seconded, motion carried. Budget review/approval: continued after January meetings. Marketing update: Play to stay and Winter Carnival ad: Andrew will continue to work on until funds are expended. Cascade dark skies letter of support: Cynda summarized and recommended a letter of support. Julie moved to approve, Patty seconded, motion carried. McCall community school generic letter of support: Not at this time, waiting until more information is available and internal/external strategies have been vetted. Northlake Sewer upgrade update GEM grant: continue to work on. Horizon’s grant letter of support for paving of the Strand. Cynda moved to approve, Blake seconded, motion carried. Motion was made and approved to allow Andrew and Julie to sign checks.